I ordered scrubs during a sale with Sugarcandie42 for 42% off. 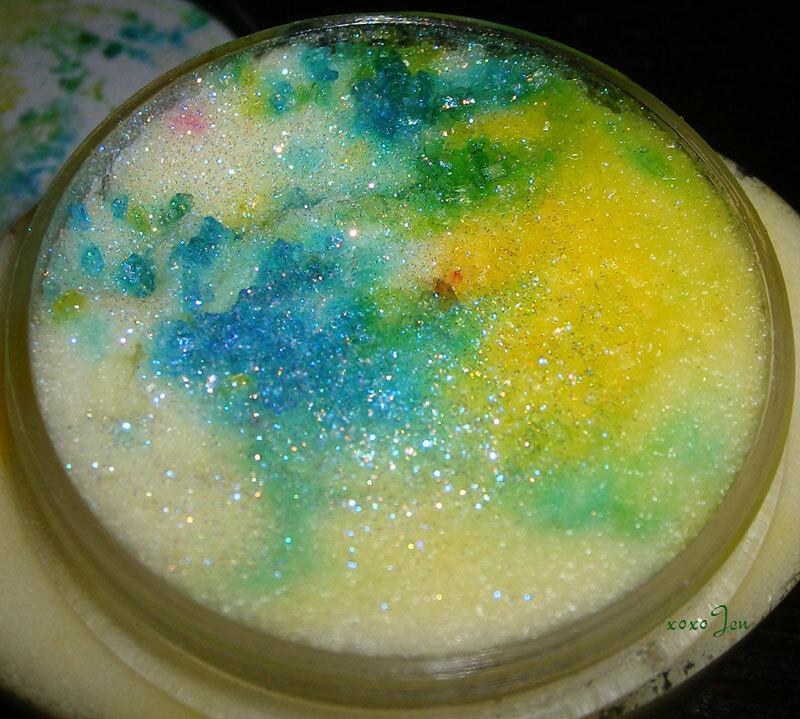 ~ I really love this scent, just as described! Sweet and sugary strawberry cotton candy. 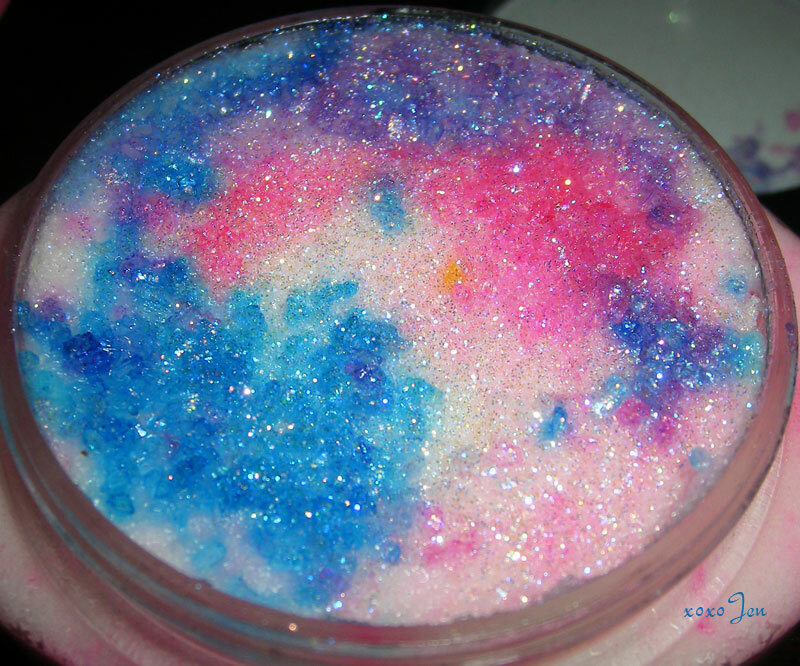 The scrub is white and pink swirled together and topped with blue turbinado sugar and iridescent glitters! ~I love foody and I love amber, so I could not resist ordering this one and I am definitely pleased with it. I cannot stop sniffing it. I didn't want to rinse and get out of the shower the day I tried it. Its heaven in a jar. If you like cotton candy and you like amber, this is a must have scent. 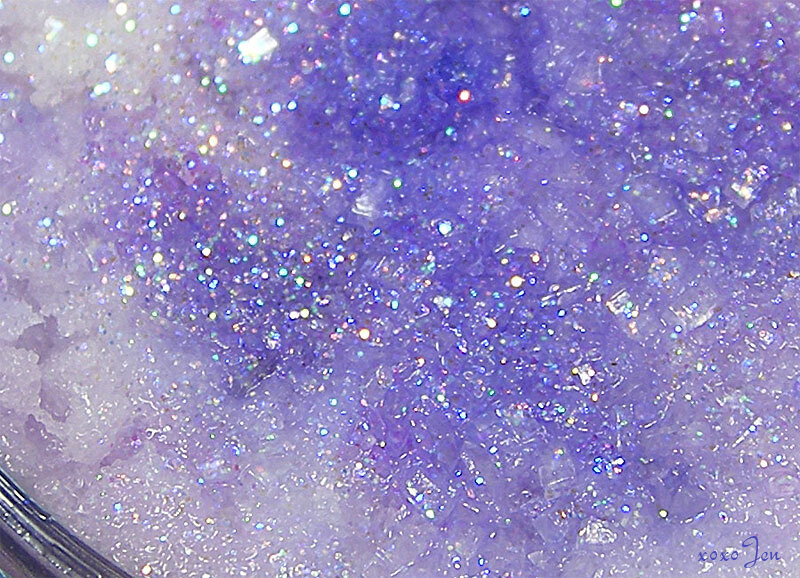 This jar is swirly purple and white with spots of blue here and there, I believe it was topped with the blue sugar which appears to have kind of melded into the purple. 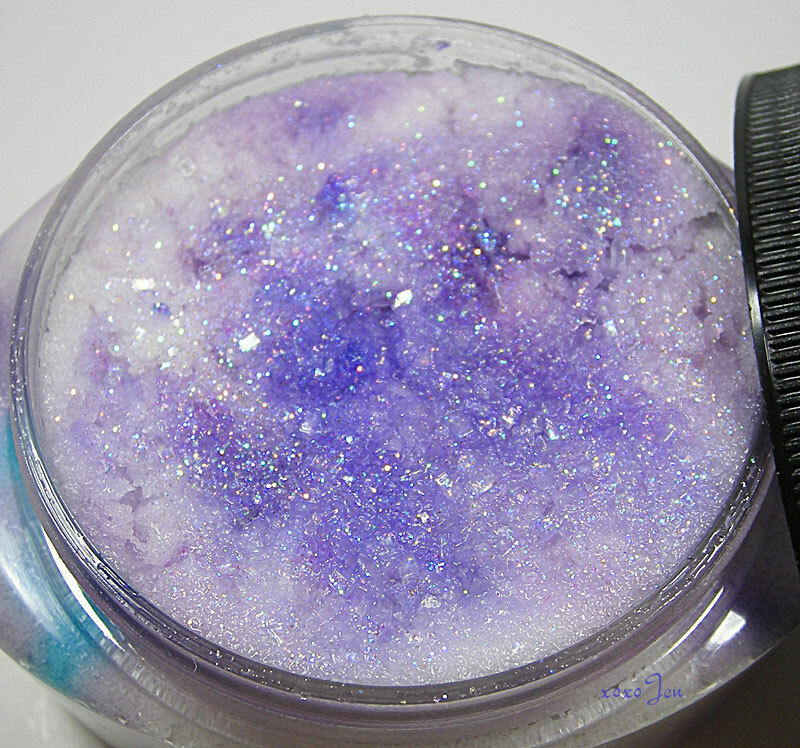 It also has the glitter, like the other two. And I took a macro shot of the scrub so you can see close up. Fresh and Flirti Romance Cake - I get lemon right off, and maybe grapefruit or ginger - something that has that sharp bite to it. I don't really smell cake but this is a sweet scent. There is a very light hint of something dark at play, perhaps a brulee of some sort but I'm not sure. 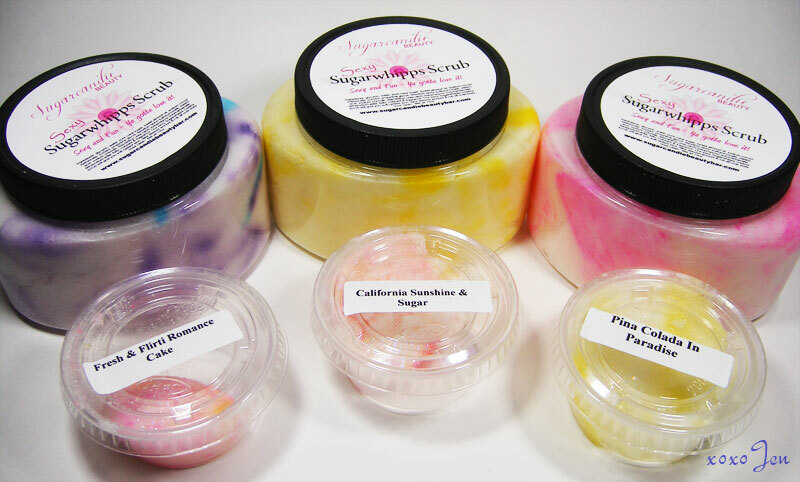 California Sunshine & Sugar - This is almost vitamin C smelling to me. There's definitely some sort of sugar there, but the vit C smell is sticking quite strongly to my nose. This may have lemon in it too, but I can't get past the vitamin smell. I totally loved this one two days ago, so maybe my sniffer is borked! Pina Colada in Paradise - Straight up! Just like the name says, I could eat this. totally. I like their products - But they have questionable business practices. I spent several hundred dollars on products, based on their Facebook promotions such as 'buy 3, get 3 free". I placed orders in April, 2012 - It's now July 5th, they owe me dozens of free scrubs, yet they send me an email saying that my orders are completed. I've been buying online for years - And have never seen such deceptive practices. I have not purchased or done a recent review (this one is over a year old) because they have changed and I do not recommend their company.